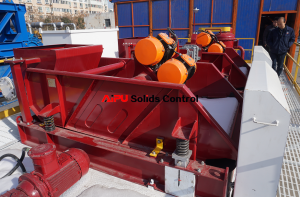 AIPU Solids Control deliveried a set of ZJ50 solids control system on jobsite 4 weeks ago and finished jobsite commissioning last week. The whole tank system will be set inside to keep suitable temperature in super low temperature area. 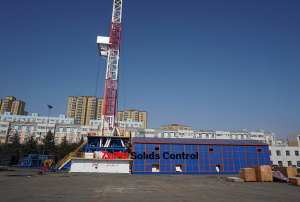 The clients require the whole tanks system to match China top brand oilfield drilling rig and mud pump for 240 cubic meters per hour mud flow treating capacity. The separation size reaches to 2 microns by a set of high speed decanter centrifuge or 20 microns by desilter cyclones fit on top of mud cleaner. 1 set of poor boy degasser sit beside shaker tank before mud enters into shale shaker. The poor boy degasser is designed to break burbles in special condition for safety application. 2 sets of shale shaker for 240 cubic meters per hour mud flow treating capacity by 40 mesh shaker screen separating. 2 shakers connected by a mud distribution pipeline to divided mud into 2 sets of shale shaker. 1 set of vacuum degasser to separate gas and protect centrifugal pumps which are working for feeding pump into desander and desilter cyclones. 1 set of middle speed centrifuge and 1 set of high speed centrifuge to reduce mud weight. 4 sets of centrifugal pump sit on mud tank for mud transfer and new mud mixing. 6. Several sets of mud agitators and mud gun installed on mud tank to stop solids building up. 7. 5 sets of mud tank for dirty and clean mud storage and new mud mixing for mud recycling, mixing and storage. 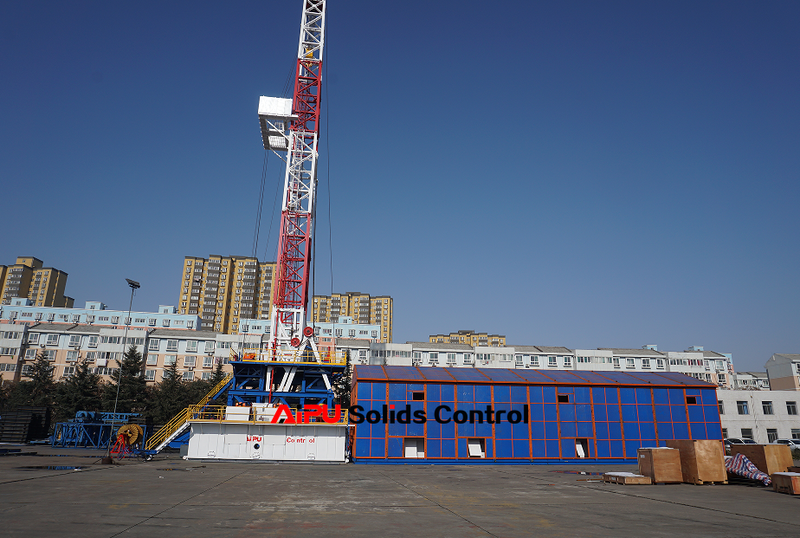 ZJ50 solids control system is working for drilling rig that drilling maximum 5000 meters with suitable mud circulation required storage capacity. AIPU Solids Control supply other size of mud tank system depending on jobsite conditions.